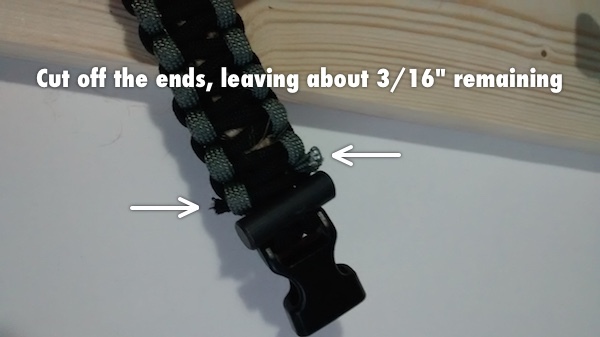 The Cobra weave is one of the most common types of weaves used to make paracord bracelets (also known as “survival” bracelets). This is a simple guide to show you how it’s done. 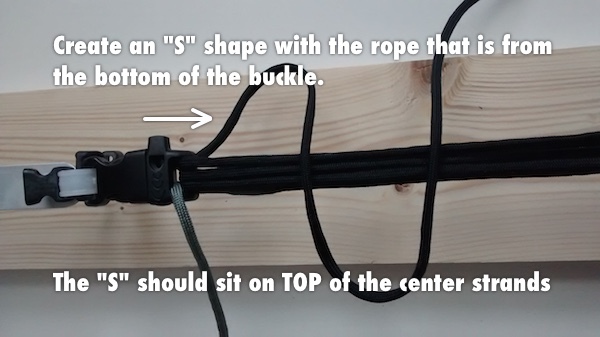 Ensure one end of the rope is coming up from the buckle and the other end is facing down from the buckle. If both ends of the rope start from the same side of the buckle, you will not have a proper weave. 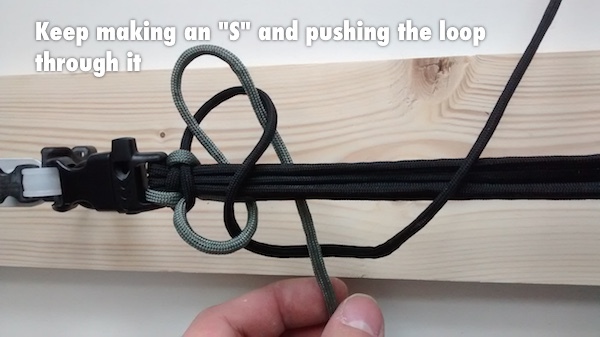 Create an “S” shape with the rope that is sticking out of the bottom of the buckle. The entire “S” shape should be sitting on top of the center strands. 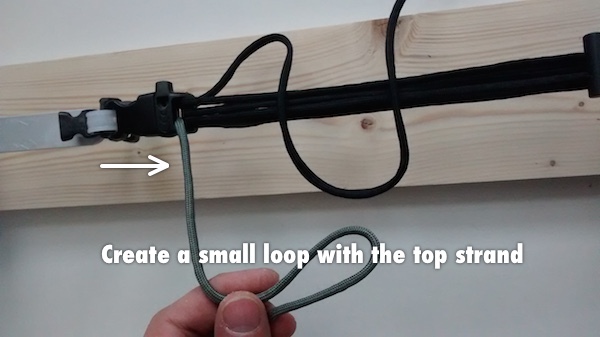 Create a small loop from the strand that is coming up from the buckle. Push the loop down through the lower portion of the “S”. 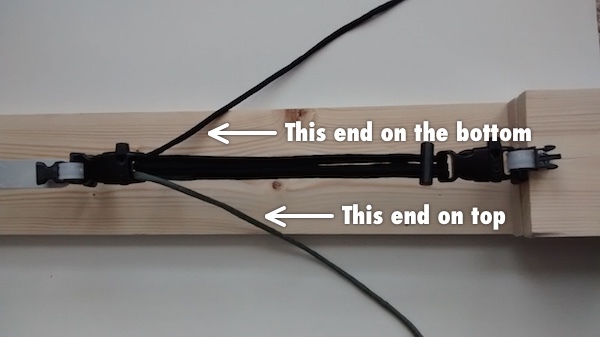 It should be over the “S” strand, but go under the center strands – this is very important. 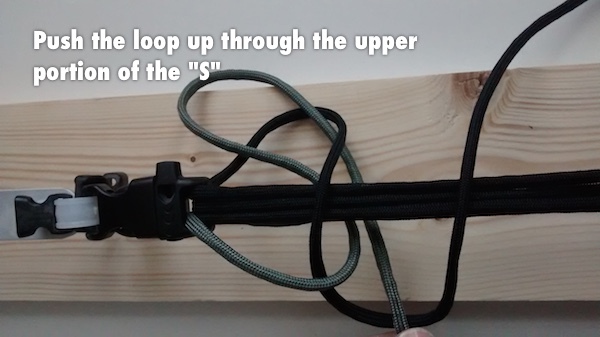 Pull the loop up through the upper portion of the “S”. 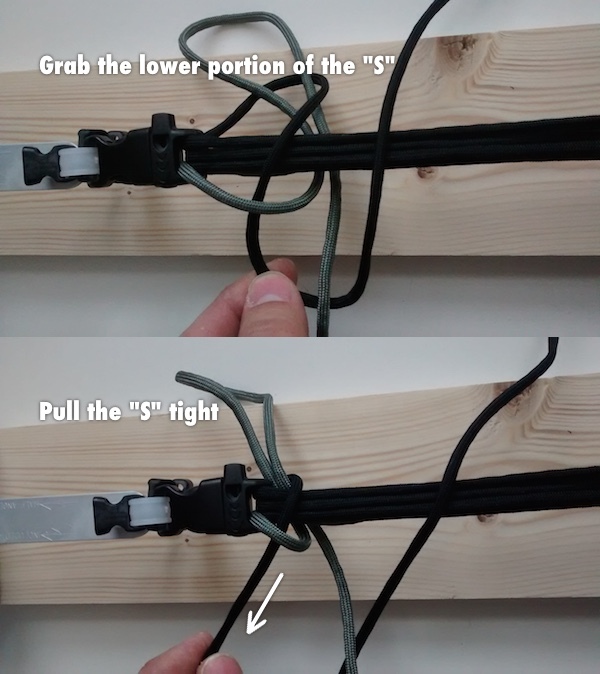 Grab the lower portion of the “S” and pull it tight. 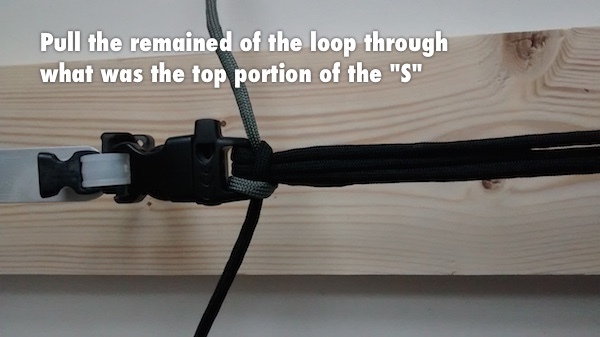 Do the same to the other end, pulling the remained of the loop through what was the top portion of the “S”. We have now created our first knot in the weave. Repeat the entire process. 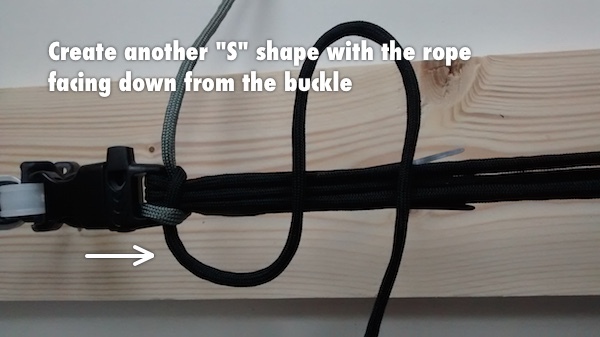 Begin by creating another “S” shape with the end of the rope that is facing down from the buckle. Remember, the entire “S” should be on top of the center strands. 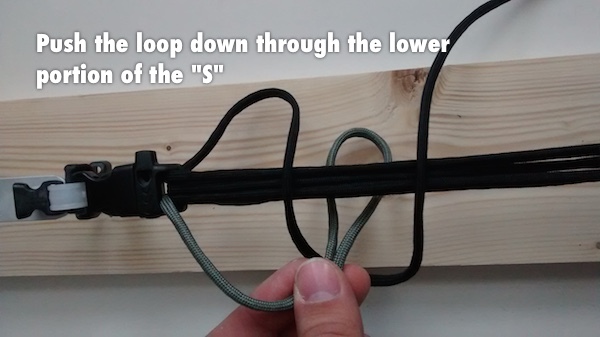 Create another loop and push it down through the “S” like before. 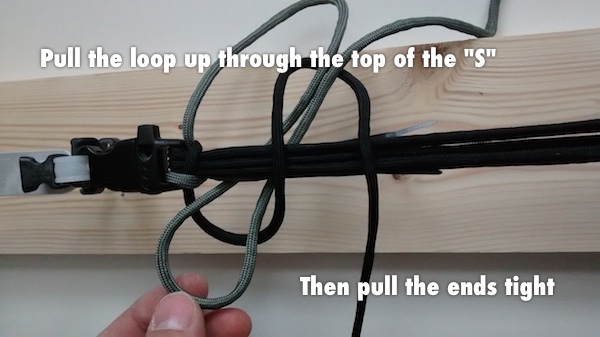 Pull the loop through the top of the “S”, just like before, and pull the ends of each rope tight to form the second knot. 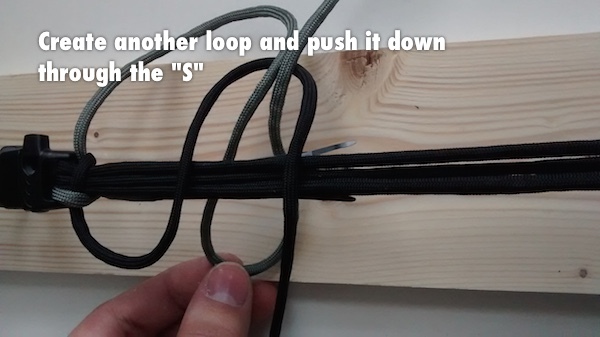 Keep making an “S” and pushing the loop through it. Repeat this process until you have come to the end of the other buckle. 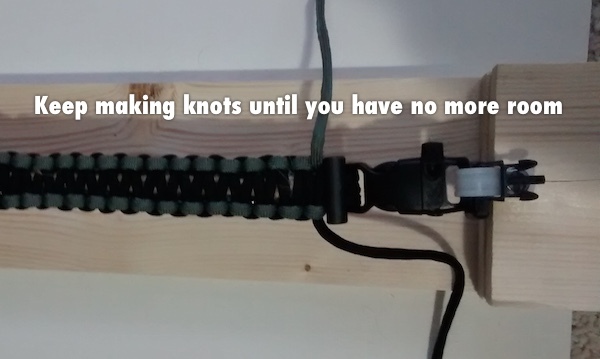 Keep making knots until you have run out of room. Cut off the excess rope, leaving about 3/16″ remaining. 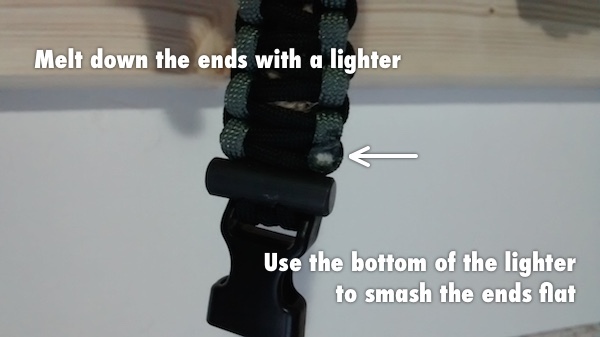 Melt the ends down with a lighter, then use the bottom of the lighter to smash the ends flat. Congratulations! You are now a master of the Cobra weave. Now go make something. Next: What is a Ranger Band?